Jessica Cox was born without arms. The doctors do not know why she was born “differently-abled.” But she does. Jessica has made achievements with her feet that most people only dream of. Now she shares her story with people around the world. As a child, Jessica studied dance in her home town. When the first performance arrived, she asked to be put in the back row. Her dance teacher told her there was no back row. Tentatively she took the stage with the other students and performed her routine. When she finished, the applause from the audience gave her encouragement and the confidence to continue dancing for 14 years.Jessica’s parents eventually met a Taekwondo instructor named Jim Cunningham. His response when told of her birth condition was that she would be more than physically able and that only her attitude could hold her back. At the age of 14, Jessica earned her first Black Belt in the International Taekwondo Federation. During college, Jessica found an ATA Martial Arts club and resumed training in the sport of Taekwondo. Even though Jessica already had one black belt in a different style, she had to relearn all of the color belt material. The instructors created a curriculum that would be accessible to any future armless students. Jessica then became the first armless person to earn a black belt in the ATA. Jessica now works as a motivational speaker. Jessica enjoys continuing to take on new challenges, the latest of which are slacklining and rock climbing. She gives back to the global disability community as the Goodwill Ambassador for the Nobel Prize winning NGO Handicap International. As a personal passion, she mentors children with limb differences and their parents. Jessica’s TV appearances include: Inside Edition, The Ellen Show, Beyond Belief, CNN, Fox and Friends, BBC, Power ng Pinoy, and more. She has also appeared on local stations in Greece, Ghana, Kenya, the Philippines, South Korea, China, Japan, Mexico, Russia, England, Germany, France, and Brazil. Jessica has also been a part of numerous radio programs, podcasts, newspapers and magazines including AOPA Pilot’s Magazine, Investor’s Business Daily, and Women Aviation International. Judson Brewer MD, PhD, is a thought leader in the field of habit change and the “science of self-mastery”, having combined over 20 years of experience with mindfulness training with his scientific research therein. He is the Chief of the Division of Mindfulness, Director of Research at the Center for Mindfulness and associate professor in medicine and psychiatry at UMass Medical School. He also is a research affiliate at MIT. He has published numerous peer-reviewed articles and book chapters, trained US Olympic coaches, and his work has been featured on 60 Minutes, TED (4th most viewed talk of 2016, with over 8 Million views), Time magazine (top 100 new health discoveries of 2013), Forbes, BBC, NPR, Al Jazeera (documentary about his research), Businessweek and others. A psychiatrist and internationally known expert in mindfulness training for addictions, Brewer has developed and tested novel mindfulness programs for habit change, including both in-person and app-based treatments for smoking, emotional eating, and anxiety (www.goeatrightnow.com, www.unwindinganxiety.com, www.cravingtoquit.com). He has also studied the underlying neural mechanisms of mindfulness using standard and real-time fMRI and EEG neurofeedback. His work has been funded by the National Institutes of Health and American Heart Association, among others. Dr. Brewer founded Claritas MindSciences to move his discoveries of clinical evidence behind mindfulness for eating, smoking and other behavior change into the hands of consumers. He is the author of The Craving Mind: from cigarettes to smartphones to love, why we get hooked and how we can break bad habits (New Haven: Yale University Press, 2017). The above links to websites and definitions of terms mentioned in NWI Podcast episode20 are for informational purposes and are not an endorsement of any product, service, or website. Rachel is a catalyst who connects, invites curiosity and releases possibilities in people and in organizations. As a nationally recognized speaker, writer, and change agent in the health and wellness field, Rachel leads with enthusiasm, authenticity, and passion. Her mission is to foster relationships that are rooted in psychological safety, curiosity, and connection, so people can feel fully alive, be their best selves, do their best work and draw out the best in others. She draws upon lessons learned from her transformational and inspiring personal story and speaks with honesty and openness about universal human truths and desires. Rachel speaks at a wide range of organizations, associations, conferences, and retreats. She also teaches healthy cooking classes and interactive seminars to organizations and community groups to equip people with the skills and tools to be well. As the Director of Wellbeing at SIG, Rachel guides SIG and their clients to connect and engage their employees in meaningful ways, so they can become employers of choice. Because of her passion, visionary approach and personal transformation, the Wellness Council of America (WELCOA) named Rachel the Top Health Promotion Professional in the U.S. in 2015 and among the top 10 in 2017. Rachel is a founding member and young board member of Global Women for Wellbeing (GW4W), a not-for-profit organization whose mission is to give women voice to create better health and wellbeing for themselves, their businesses and their communities. She is a Licensed Thriving Workplace Culture Consultant and a health coach who writes the award-winning blog, Rachel’s Nourishing Kitchen, where she invites people to connect with and nourish their body and feed their soul. Michael Arloski, Ph.D., PCC, CWP is a licensed psychologist, Professional Certified Coach (ICF) and a Certified Wellness Practitioner. One of the key developers of the field of wellness coaching, his book Wellness Coaching For Lasting Lifestyle Change (published by Whole Person Asscociates) is the first and most comprehensive book written on wellness and health coaching. Professionally contributing to the field of wellness since 1979 he has presented at the National Wellness Conference over twenty five times, and has keynoted and presented on wellness on four continents. He has been recognized by the National Wellness Institute (www.nationalwellness.org) as a member of it's Service and Leadership Circle, and he was recently nominated to be President of the NWI's Board of Directors. In this interview, Dr. Arloski discusses the ways in which the current model of wellness coaching is changing, how coaches can help clients shift the quality of their needs, the two requirements for lasting change, and so much more. The above links to websites and definitions of terms mentioned in NWI Podcast episode 17 are for informational purposes and are not an endorsement of any product, service, or website. Download the full transcript for episode 15 with show links here. Download the full transcript for episode 16 with show notes here. Let us introduce you to the fascinating co-authors in our upcoming podcast on October 20. Read the biographies of Eben Alexander III MD and Karen Newell below. You will also find a link to their new completely FREE 33-day course, which puts the concepts of their new book into action for you! 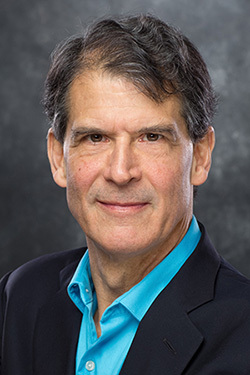 Dr. Eben Alexander spent over 25 years as an academic neurosurgeon, including 15 years at the Brigham & Women's Hospital, the Children’s Hospital and Harvard Medical School in Boston. Over those years he personally dealt with hundreds of patients suffering from severe alterations in their level of consciousness. Many of those patients were rendered comatose by trauma, brain tumors, ruptured aneurysms, infections, or stroke. He thought he had a very good idea of how the brain generates consciousness, mind and spirit. In the predawn hours of November 10, 2008, he was driven into coma by a rare and mysterious bacterial meningo-encephalitis of unknown cause. He spent a week in coma on a ventilator, his prospects for survival diminishing rapidly. On the seventh day, to the surprise of everyone, he started to awaken. Memories of his life had been completely deleted inside of the coma, yet he awoke with memories of a fantastic odyssey deep into another realm – more real than this earthly one! His older son advised him to write down everything he could remember about his journey, before he read anything about near-death experiences, physics or cosmology. Six weeks later, he completed his initial recording of his remarkable journey, totaling over 20,000 words in length. Then he started reading, and was astonished by the commonalities between his journey and so many others reported throughout all cultures, continents and millennia. His journey brought key insights to the mind-body discussion and to our human understanding of the fundamental nature of reality. His experience clearly revealed that we are conscious in spite of our brain – that, in fact, consciousness is at the root of all existence. His story offers a crucial key to the understanding of reality and human consciousness. It will have a major effect on how we view spirituality, soul and the non-material realm. In analyzing his experience, including the scientific possibilities and grand implications, he envisions a more complete reconciliation of modern science and spirituality as a natural product. He has been blessed with a complete recovery that is inexplicable from the viewpoint of modern Western medicine. A graduate of the University of North Carolina at Chapel Hill, Dr. Alexander received his medical degree from Duke University School of Medicine in 1980. He taught neurosurgery at Harvard Medical School in Boston for fifteen years, and has performed over 4,000 neurosurgical operations. During his academic career he authored or co-authored over 150 chapters and papers in peer reviewed journals, authored or edited five books on radiosurgery and neurosurgery, and made over 230 presentations at conferences and medical centers around the world. Since Proof of Heaven was released in 2012, he has been a guest on The Dr. Oz Show, Super Soul Sunday with Oprah Winfrey, ABC-TV’s 20-20 and Good Morning America, FOX-TV’s FOX & Friends, and his story has been featured on the Discovery Channel and the Biography Channel. He has been interviewed for over 400 national and international radio and internet programs and podcasts. His books are available in over 40 countries worldwide, and have been translated into over 30 languages. Since his NDE, Dr. Alexander has dedicated himself to sharing information about near-death experiences and other spiritually-transformative experiences, and what they teach us about consciousness and the nature of reality. He continues to promote further research on the unifying elements of science and spirituality, and together with Karen Newell, regularly teaches others ways to tap into our greater mind and the power of the heart to facilitate enhancement of healing, relationships, creativity, guidance, and more. As an innovator in the emerging field of brainwave entrainment audio meditation, Karen Newell empowers others in their journeys of self-discovery. Using Sacred Acoustics recordings, she teaches how to enter and engage your own consciousness in order to connect to inner guidance, achieve inspiration, improve wellness and develop intuition. Her lifelong interest in ancient cultures and sacred sites catalyzed her drive to understand the purpose of our existence. She became fascinated with esoteric spiritual texts and sought alternate explanations for humanity’s collective history. In her search for answers, it was clear that direct experience is crucial. She was intrigued by accounts of ancient mystery schools, where initiates were led through a series of trials to learn the secrets of the universe. With no modern mystery school to attend, she enrolled in hands-on experiential courses to investigate and develop such skills as lucid dreaming, astral travel, telepathy, remote viewing, self-hypnosis, and different forms of energy healing, which bolstered her strong sense of inner knowing and alignment to her higher nature. With focused dedication, she evaluated different theories and techniques through experiments in her daily life. Using this body of personal evidence, she cultivated a personal knowing, not only of the reality of the spiritual realm, but also a facile expertise in living that life of daily connection with universal consciousness. Among her greater attributes is the rare skill of discernment, of being able to separate the wheat from the chaff in navigating a pathway towards truth. Meditation and heart awareness were central elements to her many different subjects of study. Her most successful forays into consciousness involved listening to sounds such as gongs, crystal bowls and tuning forks. Recordings containing binaural beats were particularly effective at minimizing distracting thoughts and restlessness, allowing her to finally reach the expanded states of awareness she sought. Karen joined with Kevin Kossi to create original recordings unmatched by any others either of them had experienced. Together, they created Sacred Acoustics. At international workshops presented with best-selling author Dr. Eben Alexander, Karen demonstrates key practices of consciousness exploration: heart awareness, intention, maintaining neutrality, emotional management and cultivating internal knowing. She is co-author with Dr. Alexander of their latest book, Living in a Mindful Universe: A Neurosurgeon’s Journey into the Heart of Consciousness (Rodale, 2017). The following information below is being provided for you with the authors' permission. Our modern world often puts science and spirituality at two ends of a spectrum. In this completely FREE 33-day course, using concepts directly from the book, Living in a Mindful Universe, we bring them together. Sign-up above to start your journey today.